If you follow me on Instagram or Twitter, you’ll know that on Friday I got back from the most magical trip to New York City. My boyfriend Jamie surprised me massively back in May with a trip to the big apple for my 21st Birthday. We had 5 nights there, with 5 and a bit days of exploring and boy did we do just that. 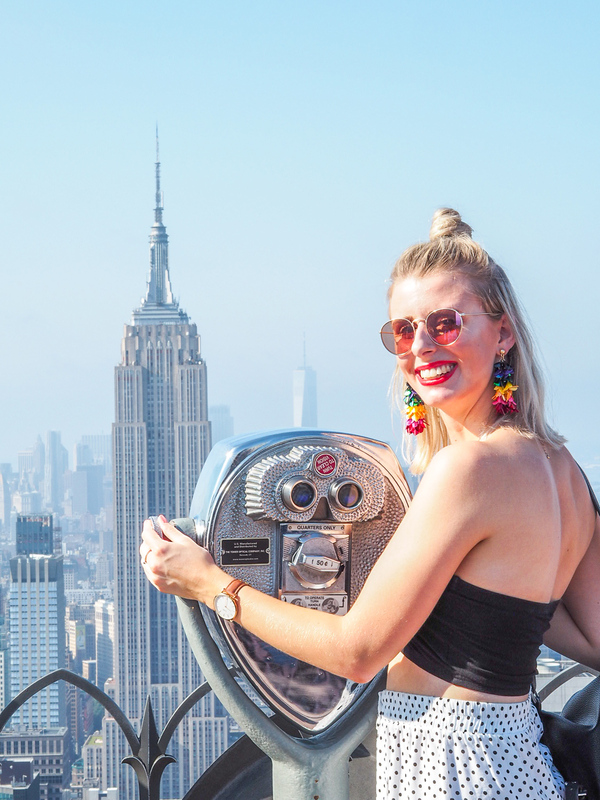 Known as the city that never sleeps, we had 4 full-packed days and today I wanted to share the first 3 days of our travel diary with you. Perhaps it will help inspire your own trip to the city! Jamie booked with Virgin holidays, so the flight and hotel were all included. 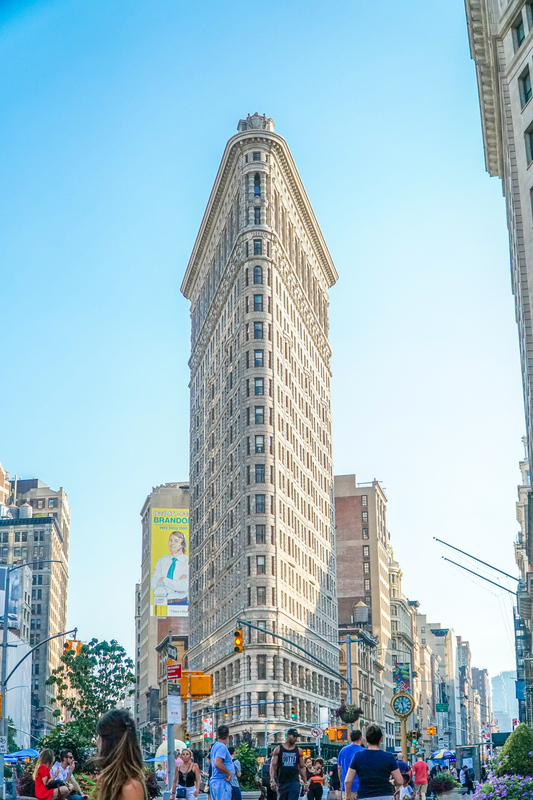 We stayed in Courtyard by Marriott, which was the perfect location on 54th street on Broadway, both a 5-minute walk from Times Square and Central Park. I’d definitely recommend this for a brilliant hotel location. We flew out Saturday afternoon UK time, landed US time about 7 pm. This was ideal for us – we didn’t suffer from jet lag and instead, it just felt like a super long day! From JFK we took the Airtrain and Subway, a relatively quick, cheap and easy way of transport. Taxi’s aren’t necessary for the city – the subway can take you everywhere! Our journey took just under an hour and we checked in, dumped our bags and took a quick trip to Times Square to get excited for the next week ahead of us. For food, one of our favourite spots was somewhere we went on our first night – 99 cent pizza. Yup, pizza slices the size of my face for less than one dollar. This was actually just around the corner from our hotel, SO cheap, SO quick and easy and SO delicious. We went here a few times thanks to the cost and ease! Filled up, we hit the sack for the night ready for a busy day tomorrow. Our second day was our ‘free day’. For the next 3 days, we had a pass which allowed us into all the attractions, so day 2 was the day for exploring and doing a bunch of free sights. We started the morning with breakfast at Sarabeth’s. There’s a few of these across the city but we got a table at the one by Central park seeing as that would be our first stop. The food here is a little pricey but well worth it – I had a granola and yoghurt bowl, and Jamie had the French toast which was just delicious! With full stomachs, we headed on for the day. Our first stop was Central Park. We visited only a small section of the park because we knew we’d be exploring the whole place later on in the week. We had a walk around the pond near 59th street, took some snaps and took in the scenery. 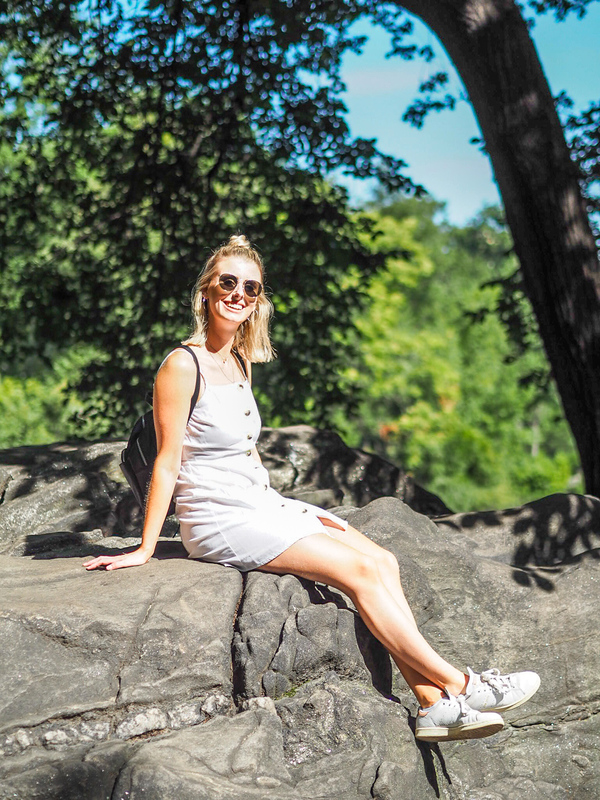 Central Park really is a must-see in New York, and if you’re lucky enough to spend a good amount of time there – do so, it’s massive! From Central Park, we walked all the way down 5th Avenue, one of the main streets for shopping in NY. We went to Trump Tower, stumbled across Rockefeller and Empire State, as well as spending a bit of money in Victoria’s Secret and Sephora. We then headed over to Grand Central Station – another must-see spot in the city. We had a bite for lunch here too – they have a massive food court in the bottom of the station so planning a visit here around lunchtime is a good idea! Getting a bit exhausted from all the hustle and bustle and the heat (it was SO hot when we visited!) we headed back to our hotel for a rest and refresh. Jamie was eager to head downtown today too though, so we hopped back on a Subway and took a quick trip down to the One World Trade Center and the 9/11 Memorial before our trip back there on Wednesday. Back at the hotel again, we had a shower and dolled up for the evening. Another wander around the area, we ended up just off Times Square on 42nd street for food in Applebees Diner. This is a total NYC eat, a busy bar/restaurant, more commercialised than most but somewhere I felt we needed to go on our visit. Our third day marked the start of all our paid sights. My parents were kind enough to gift Jamie and I an NYC pass each – a 3-day pass we bought through Virgin to allow us entry into hundreds of sights and tours in the city. If you’re planning on seeing a lot of the sights while in the city, I would 100% recommend getting yourself one of these passes. Not only do they save you money, they’ll help you skip the queues too! On this day, we decided to go for a good old McDonalds breakfast, wanting to be quick because we were heading up to the Top of the Rock. Getting there early is recommended – it was far quieter when we got there compared to when we left, which makes taking photos much easier. If you’re choosing between Top of the Rock and the Empire State Building, I’d recommend the former, as from here you get to see both Central Park and the Empire State building, giving you much better and iconic views of the city. 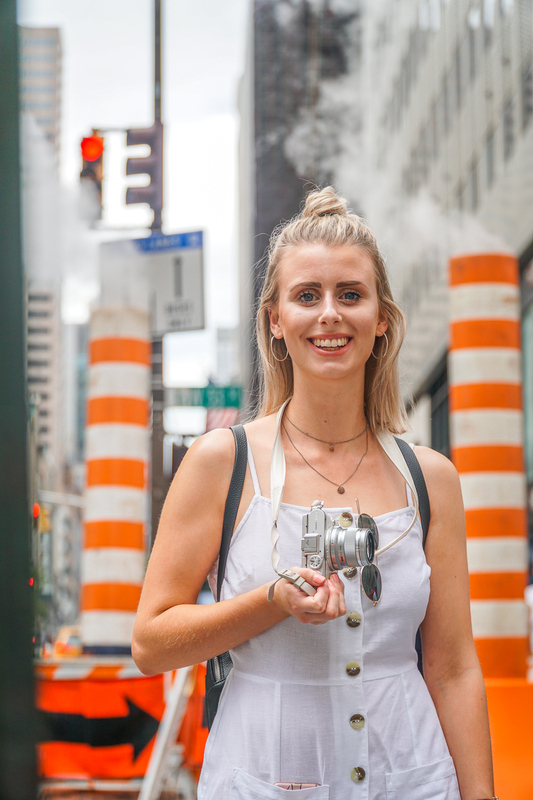 We took some time here, taking some snaps and taking in the beautiful sights, before heading down and moving onto our next adventure – cycling around Central Park. 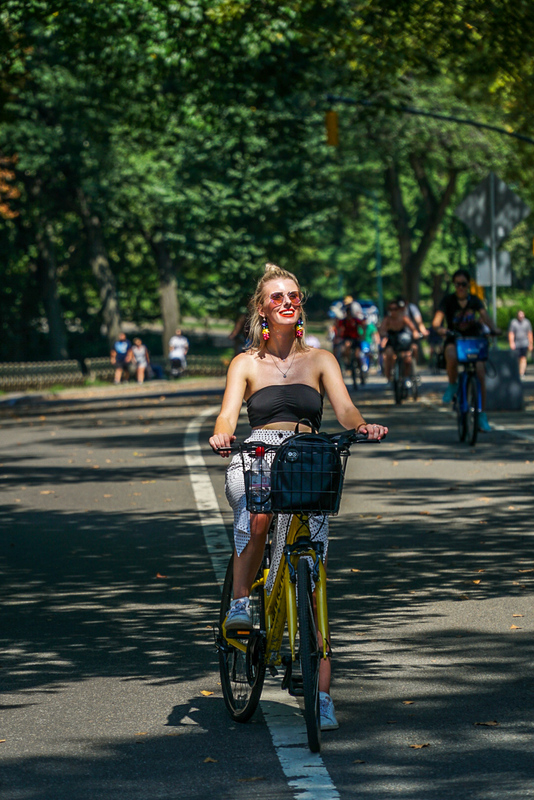 Our NYC pass also allowed free bike hire for the day, and knowing we wouldn’t get around the whole of central park on foot, we decided to use our bike hire to do just that. Despite the heat being unbearingly hot, we managed to do the entire park in probably 1-2 hours with a few stop offs for breaks and photos. This was probably one of my favourite parts of the whole trip and is such a fun way to see the whole of the park, something I didn’t manage to do in my last trip to New York. Dripping, sweaty messes, (we were quite the picture), we returned our bikes and went back for a much-needed shower. We headed out for dinner a lot earlier on this day, as we headed down towards the Flat Iron and Washington Square Arch for some photos first! There really is so much to see and do in New York, the only way to do it all is to pack your days as full as possible. From here, we somehow found ourselves in China Town and struggled to find somewhere to eat. It was a bit of a disaster of an evening, and with hunger kicking in we ended up getting a takeaway from Popeyes and getting the Subway back to 34th Street. 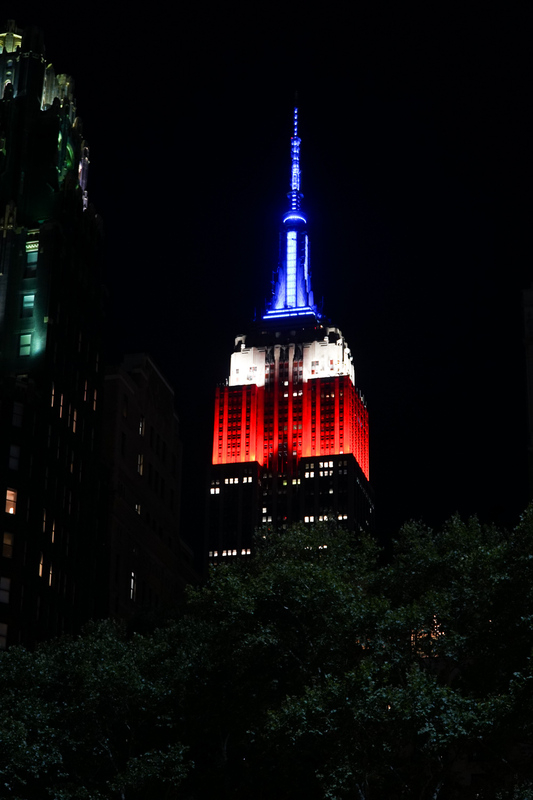 To our surprise, it was actually Labor Day in the US, so the Empire State was lit up to celebrate, and we spent the evening watching the views from below in Bryant Park. Our first 3 days were packed full, and our next 3 weren’t going to be any different! Read my post on days 4-6 here. 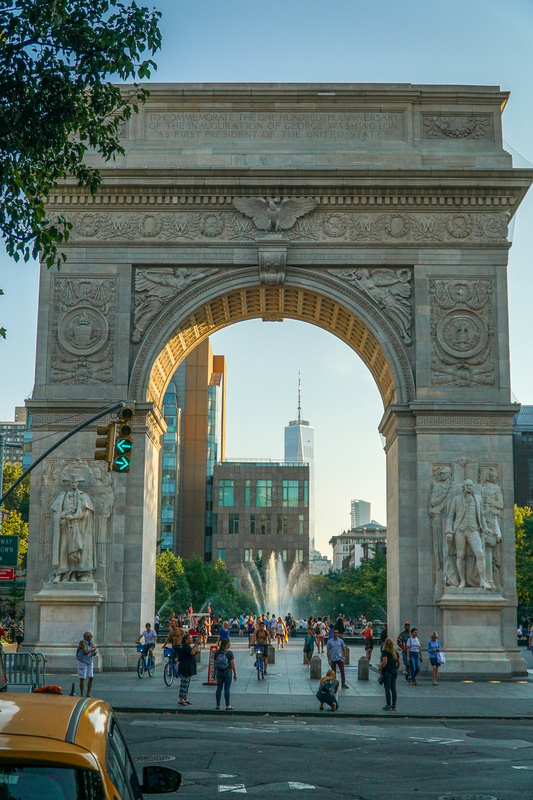 You might also be interested in my top tips for if you’re visited NYC for the first time.